My father bought (in kit form) and built Windchat with two of his friends in 1973 three years before I was born. They took her to Guernsey on the first maiden voyage proper and some 40 years later I embarked on her restoration. I enjoy childhood memories of summer holidays sailing her with my family. Over the last 20 years, for reasons too complicated to share, we lost contact and she fell into disrepair. Then one day in 2014 the co-owner proposed to scrap Windchat but needed the signature of my father as he was still on the title deeds. Dad’s quick thinking lead to a phone call to me and, as a result, I was £10 poorer and a yacht owner for the first time. Upon some reflection, I did in fact change my mind once, and paid her one last visit at Deacons Boatyard in Swanwick to say goodbye. A sobering ‘last pop below decks’, with its flood of memories, soon made me realise that I couldn’t be the person to send her to scrap. After lengthy chats with the good folk at Deacons – particularly Nick – I managed to convince myself this undertaking was in fact doable, and so began the restoration. 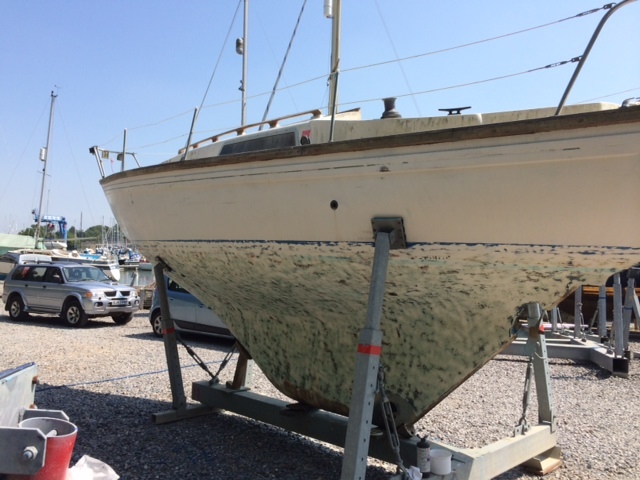 It would be carried out by the same boatyard where she was originally built over 40 years ago. During the winter of 2014 her hull was shot blasted, 2 pack fibre filler used to fill in crazed gaps and two pack paint applied. 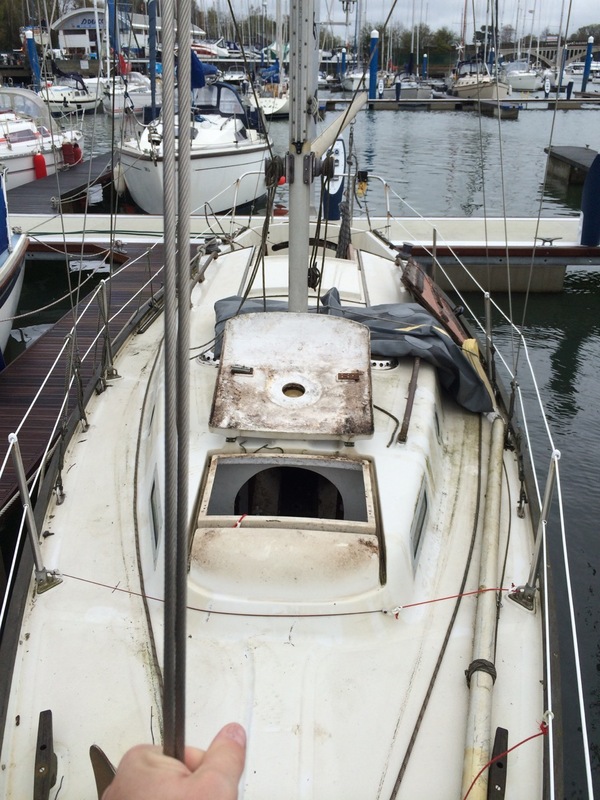 The following spring replaced the cushions, instruments, top side wood work, standing and running rigging. 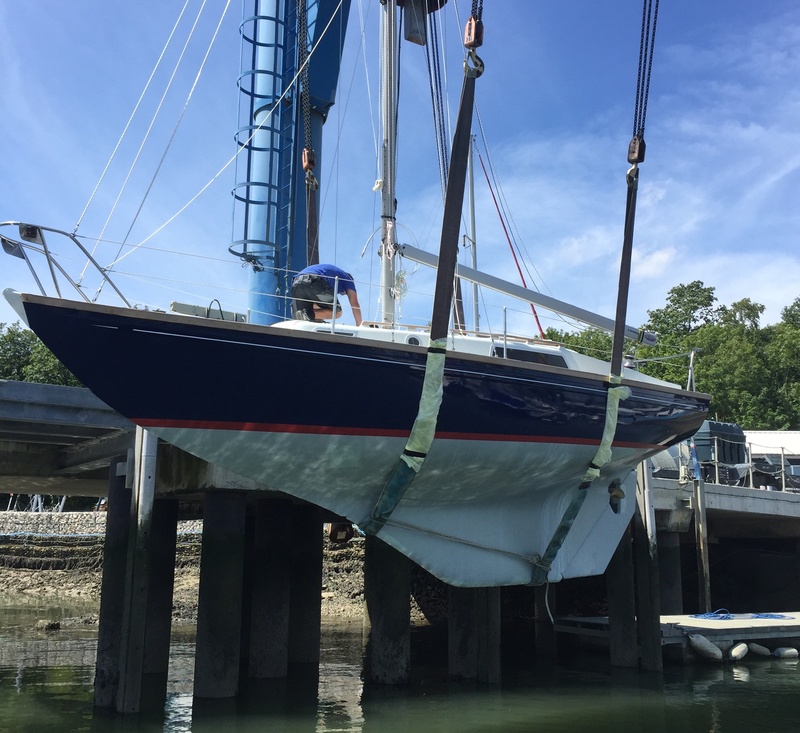 On our test sail in the Solent in summer 2015 we discovered a twisted rudder stock and put that right during winter 2015 and then replaced the woodwork below, added spinnaker tweakers and improved instruments. Her first real test was 9 months later during the 2016 Round the Island Race. What a great story of refurbishing a beautiful vessel! Love it. She definitely wasn’t ready for the scrapyard. Looks like she’s got many years and miles left in her future! 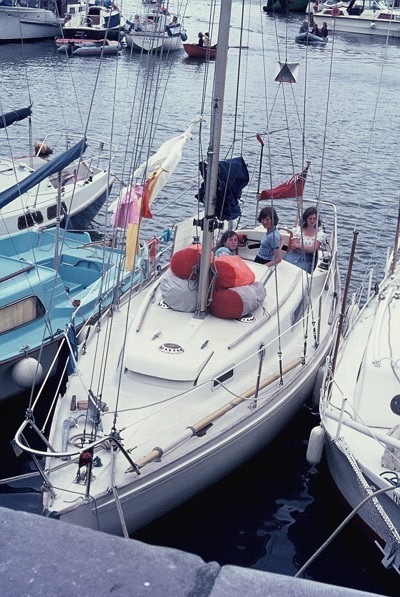 The Cutlass 27 is a boat I’ve always admired. A proper little yacht. 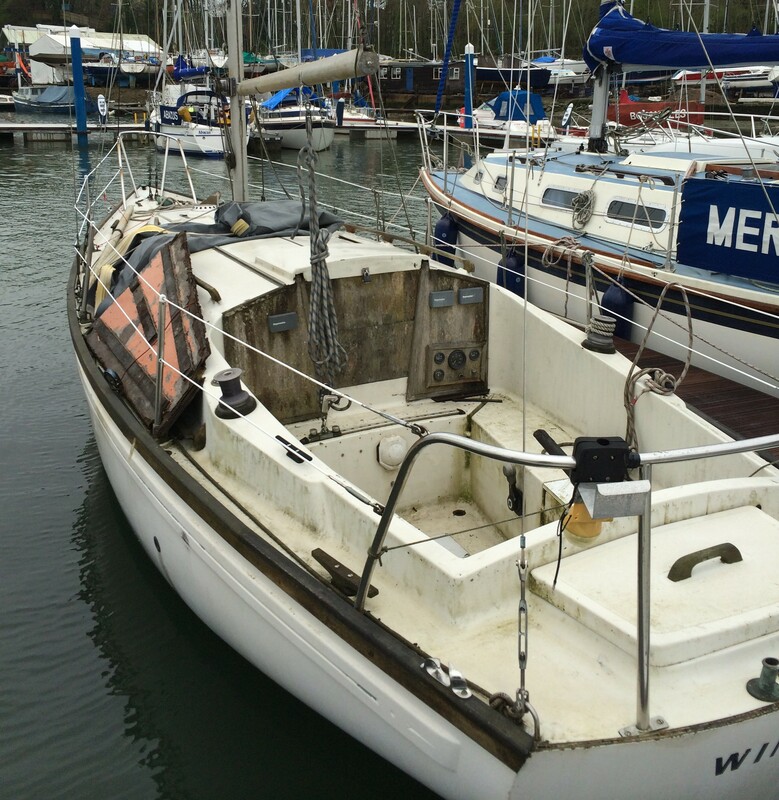 It breaks me up to see lovely boats like Windchat that have brought people so much pleasure heading for the knackers. So well done, Pete. What an inspiration. I’ll bet a few tears were shed when she heeled to the breeze once more. I took the helm for the first time for over twenty years and as she swept her way across the Solent so the tears started to flow, I just could not help it! 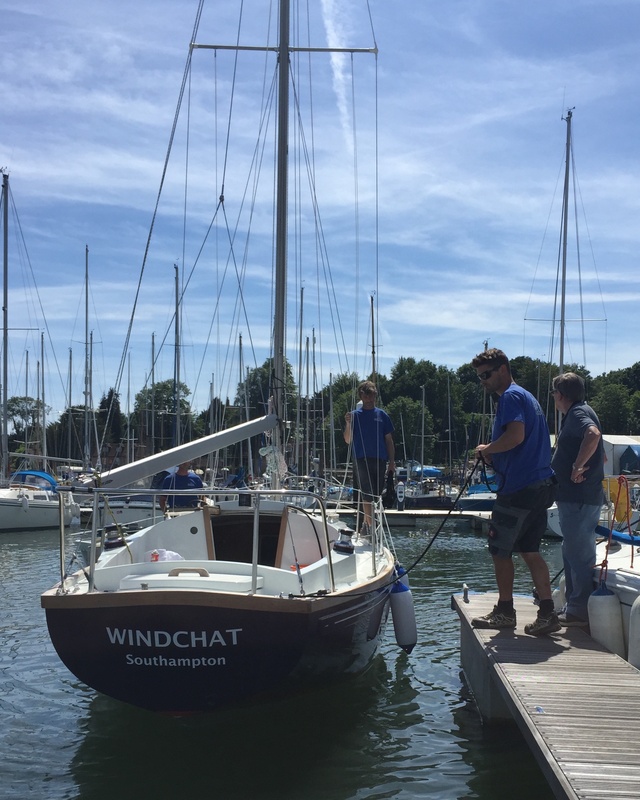 With Peter’s enthusiasm and dedication I am thrilled that Windchat will have an assured, and happy, future. 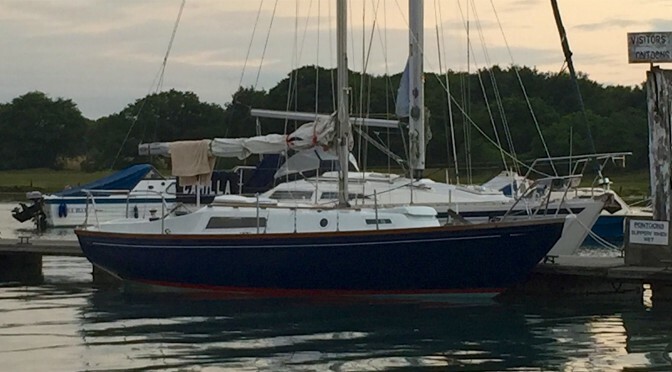 Thank you for your kind words Tom … she certainly does have some nice lines… and sails a dream. You have done a beautiful job, I also bought an abandoned Cutlass 27 in 1997, she was abandoned in Club Náutico El Arenal for more than 15 years. If you go to youtube : Cutlass 27 you will see some videos of her. This year she got a new Max Prop 3 blade classic and she goes like a rocket. I would love to see some photos of inside. Congratulations about taking the challenge to rebuild your Cutlass. I found your page today while reading the web about Cutlass 27. Some 20 years ago I started the challenge as well in Kiel, Germany. And still it’s a continuous improvement 🙂 – Every new built-in feature increases my happiness with sailing SY ‘Iskender’. It’s still well balanced and beautiful sailing in strong conditions. Good luck for your Round the Island trip! Great to hear another Cutlass is being enjoyed … wish I was taking mine to the South of France imminently! !- the Solent isn’t to appealing this time of year, even in such a fine vessel. Alas, sorry to say I can be of no use regarding a magazine article nor a sprayhood!- I tend to use a tarp when moored. If you have any joy in your search please do share … likewise I would love to see any pictures you have of her (including interior- fascinated with the different layouts!). Hello Peter ! Good to hear from you. Alas, I don’t think all Cutlass owners (or people who have posted here) see these messages- I think it only goes to the person you actually reply to… I could be wrong). Thus I think only I got this message … and sorry to say, I can be of no help here whatsoever … I have never encoutered such an issue. On a positive note, I have registered cutlass27.com – and thus plan/hope to create some sort of centralised hub for us lucky owners of a Cutlass! In the mean time, best of luck is all I can offer you, sorry! … I woud lask my Dad (original builder of Windhat), but sadly his sails are no longer full. I also have bought a cutlass, last summer, here in Norway. 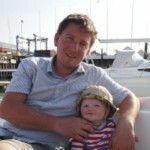 It might seem unbelievable, but I’m 6’8″ (204cm) and I use it as a live-aboard during this winter. Dreaming of taking her ocean crossing some day. The ad states that it was featured in a Motorboat and Yachting article in November 2006. And the boat have had some interesting alterations and changes done.